Promoted Route Volunteers help us to monitor the footpaths that we promote as good walking routes for visitors, helping us to maintain the network to a good standard. 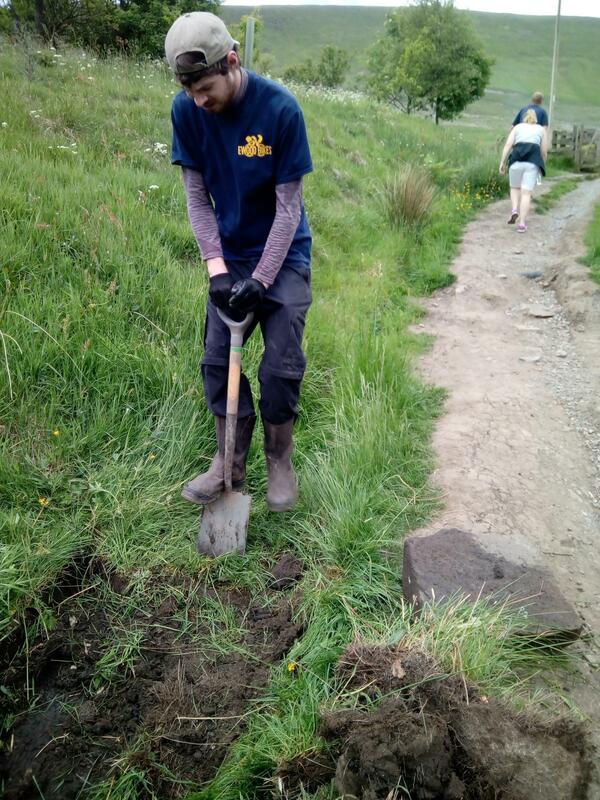 Email: volunteer@pendle-hill-lp.co.uk or call 01200 420420 or email. Are you a group leader or member of a group, which meets in either Pendle, Ribble Valley, Burnley or Hyndburn and close to Pendle Hill? 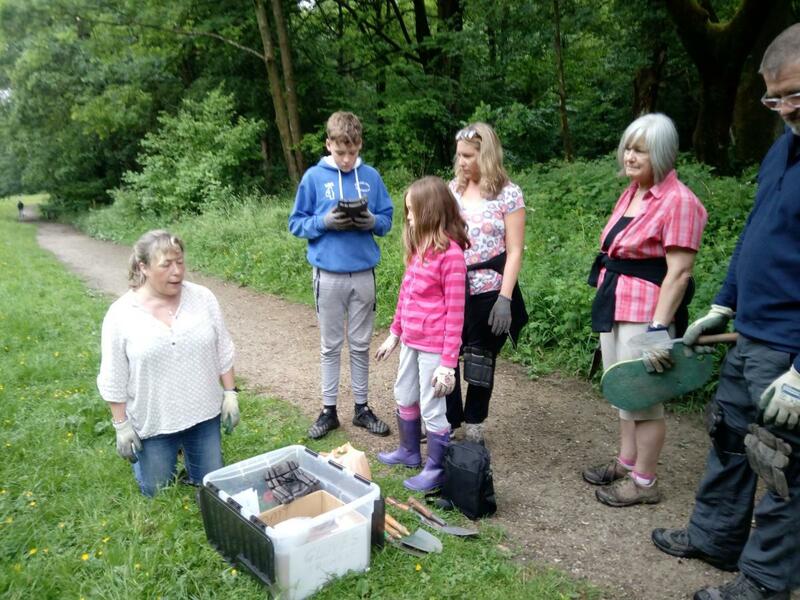 Would you like the opportunity to get your group involved in volunteering outdoors in the Pendle Hill Landscape Partnership? 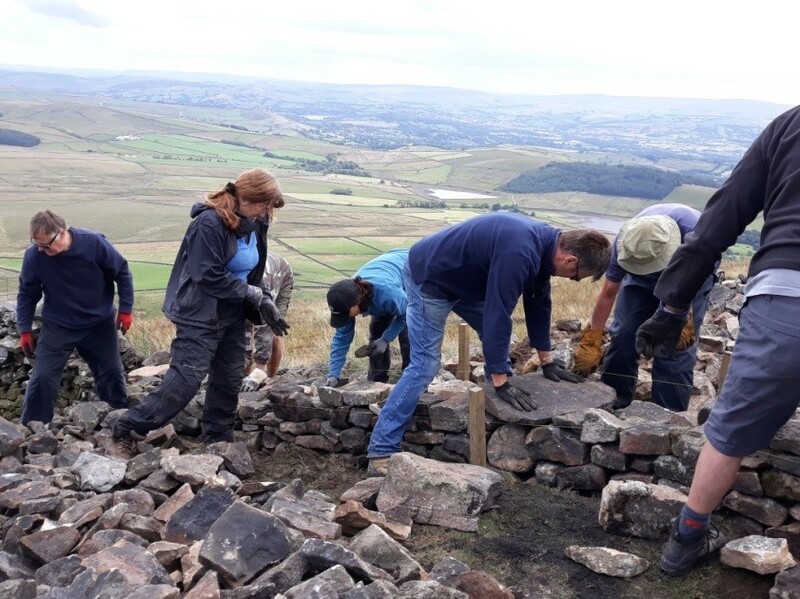 As part of the PHLP's Get Into Volunteering initiative we are offering local groups the opportunities to spend a day volunteering out in the Pendle Hill landscape, learning new skills and enjoying the benefits of fresh air. 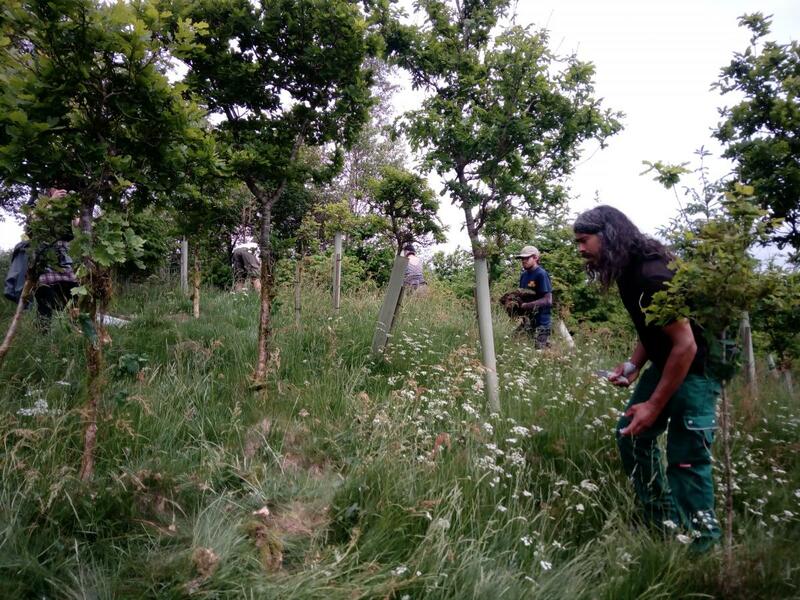 We are hoping to offer this opportunity to groups who may not have had the chance to volunteer outdoors before, may not have spent much time in their local landscape or maybe haven't even thought about volunteering in the local landscape before. Opportunities include practical conservation work, wildlife surveys, rural skills and much more. If you are interested or would like to know more information please get in touch with our Community Engagement Officer. Email: jayne.ashe@lancashire.gov.uk or call 01200420420. The Pendle Hill Landscape Project is working with local organisations, to create lots of opportunities for local people to get involved. Maybe you have a creative flair, are a keen historian, enjoy photography or are interested in wildlife. Below are a list of our partners and ways you can get involved. If you have a hobby, interest or skill that you feel we could use within the Pendle Hill Landscape Project, do let us know, we would love to hear from you. Come and join our volunteer research team to explore Pendle Hill's heritage of radical thinkers and non-conformists, you can find out more information about the project here. Whether you have an interest in local history, the story of a particular individual, or a special local place, become a part of this exciting project. As a member of our research team we will help you develop new skills; invite you on visits to investigate source material; and most importantly there will be lots of tea and cake at our sharing sessions! Throughout the Pendle area you can see the patchwork of field boundaries stretching up from the valley floors towards the steep slopes of the hillside. Traditional dry stone walls and hedgerows have stood the test of time but they do require maintenance and as part of the Traditional Boundaries Project we will be running courses in dry stone walling and hedgelaying. Why not come along and try your hand at these traditional skills, you could even work towards a qualification or maybe even a new career. To find out more follow this link. Pendlefolk is a platform run by volunteers who want to celebrate and promote the individuals and groups who work and/or live in the wonderful Pendle Hill and surroundings. The volunteers make contact with individuals who are happy to be interviewed, write up the interviews and take some great photos. Take a look at our website www.pendlefolk.com and email hello@pendlfolk.com if you are interested in getting involved! If your school/group is within the Pendle Hill landscape Area (Please see map on PHLP website) or is just over the purple line on the map, then do get in touch. We are compiling a list of contact details for local schools/groups, so we can send out Free Family Nature Events leaflets to, or outdoor learning opportunities, or other youth opportunities to. If you would like to be added to this database, please email us. We can then get in touch, if when we have something on in your area.